Today's review is part of the "Earclaw and Eddie" blog tour. "Earclaw and Eddie" is a humorous children's book with a bit of a spooky vibe that is sure to delight young readers. 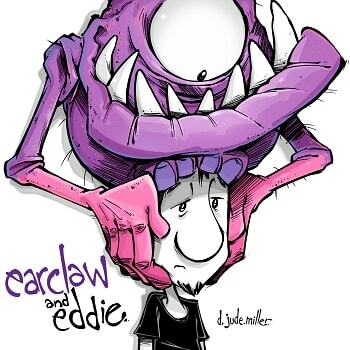 The story follows Eddie, an ordinary guy who wakes up to find a creature named Earclaw on his head. 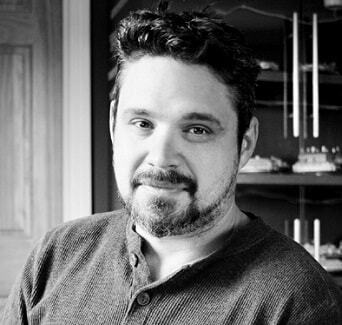 The plot follows Eddie's attempts at dealing with this monster living on his head. Just as Eddie thinks he's free, a monster named gnarly shows up. What is Eddie to do? Miller has a knack for writing an imaginitive story that is unpredictable and engaging, yet straightforward enough for young readers to follow along. The illustrations are beautifully done using a mixture of grayscale and vibrant colors to highlight the creepy characters. A lot of the illustrations are humorous, and are sure to get a laugh from young readers. I could see this book being read as a bedtime story. If you're looking for a unique children's book with fun illustrations, "Earclaw and Eddie" is a good buy.